The 69th Annual Golden Globes awards will air tomorrow (Sunday, 1/15/12) from 8pm-11pm EST on NBC. 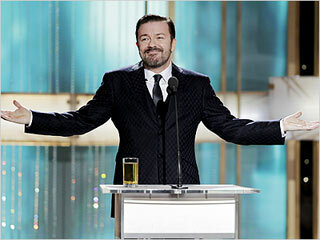 The Hollywood Foreign Press Association has chosen Ricky Gervais to host again, even after some of his more acidic barbs towards the stars last year, so it should be an interesting night. Check out my picks of the winners at Examiner.com.